Restylane Lyft is the first HA dermal filler to receive FDA approval for an area other than the face. 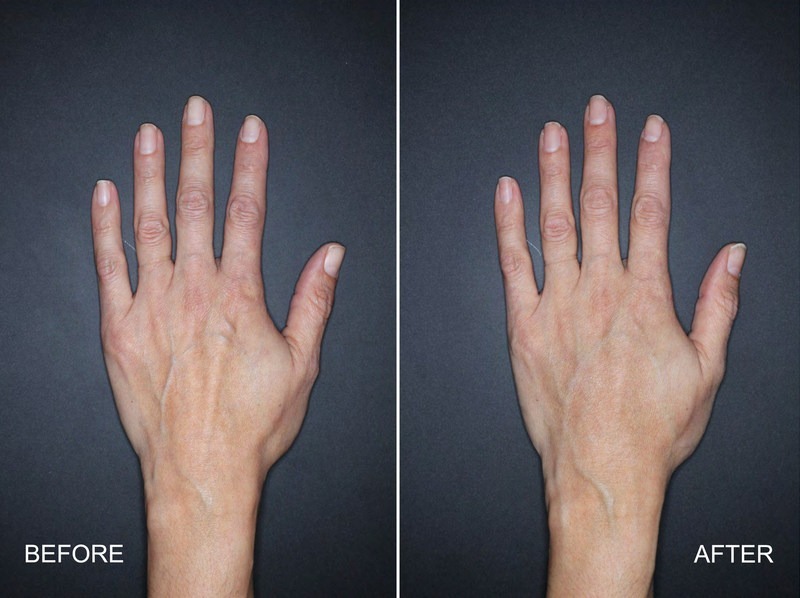 The dermal filler Restylane Lyft has received FDA approval for the correction of age-related volume loss in the back of the hands. Restylane Lyft is the first HA dermal filler to receive FDA approval for an area other than the face. The approval of Restylane Lyft was based on a multi-center, randomized, trial that included 89 participants over the age of 21. Per a release by Nestlé Skin Health, Restylane Lyft showed clinically meaningful improvements in the correction of volume deficits for up to 6 months and was safe and well-tolerated. After initial treatment, injection site responses (swelling, tenderness, redness, bruising, pain, itching, impaired hand function) were predominantly mild in intensity, and temporary. Hyaluronic acid is a naturally occurring substance in the skin that helps provide fullness and elasticity. It diminishes as we age, and causes the skin to lose volume while increasing the chances for wrinkles to appear.